I hope that you find our district website continues to be user-friendly. The danger with any website is that information becomes outdated. Please notify my office when you find information that is no longer timely. The community can be a great help in keeping the information we share relevant. We look forward to meeting the needs of our students, their families, and our staff members during the 2018-19 school year. The Huron community has blessed us with excellent facilities. We are committed to making the most out of the opportunity that we have for teachers to teach and students to learn in such a wonderful environment. Our focus remains on the achievement and development of every child in our care. It is our job to challenge students to develop their academic skills so that they can compete in an everchanging world. It is also our responsibility to hold students and ourselves to the highest standards of citizenship. We have worked to support Governor Daugaard’s initiatives for workforce development through a set of relevant and rigorous requirements for graduation diploma endorsements that prepare each student for the next step in their life. A key to the success of this initiative is the involvement of the student and parent in deciding the interest level and commitment of each student to a field of study. We remain proud of a community that opens its arms to the most diverse school district in the state, with children from countries around the world. Our schools look like so much of America, and our students leave prepared to live in a diverse world of ideas and opportunities. The Huron Schools are wonderful places for students to learn from highly qualified teachers in a caring environment. We know that a key to success lies in developing alliances with our parents, grandparents, guardians, and taxpayers. We believe that when students receive a consistent message of high expectations from all of the adults in their lives, they will behave appropriately, learn more, and achieve more. We are committed to communicating with our parents and our patrons. We ask you to communicate as well. Please let us know what we are missing or could do better to meet the needs of all children, and please let others know of the things we are doing well. 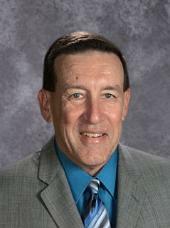 The superintendent can be followed on Twitter (@HuronSDSupt) and Facebook (HuronSDSupt). These communications, combined with the school board agendas and minutes and the archived video of school board meetings enable patrons to keep abreast with the happenings in the Huron School District. I am honored to be your superintendent and look forward to continuing to work for you and with you in this wonderful school district. Finally, I am proud of the new vision statement – which has been incorporated into our official Huron School District Brand. Our vision is “Respect – Pride – Excellence For All”. We believe this is a realistic approach to meeting the needs of every student. I invite you to learn more about the Huron Schools as you browse our school website. I hope the site provides the information that you, the reader needs from our school district. If you have concerns about the website - or information that you cannot find, please contact dolly.venables@k12.sd.us, or our onsite web coordinator – roger.ahlers@k12.sd.us. These people will direct you to the information that you need - or direct your suggestions to me.